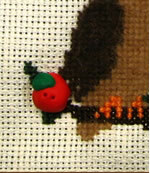 Acorn button for Autumn Leaves design. Ladybug Button for Sorority Angel Alpha Sigma Alpha and Garden Gate designs. Apple button for September Heartstrings design. Apple button for the All Stacked Up Scholarly Owl design. Apple button for School Days design. 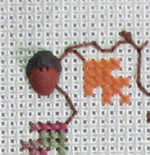 Pumpkin, acorn and 3 leaf buttons for Autumn kit design. Ball of yarn button for collectible tin Catnip design. Balloon button for Happy New Year design. Bat and Moon buttons for If the Hat Fits design. Bat button for collectible tin Haunted House and Haunted Window designs. Bat button for Witches Hat design. Bat button for Beware the Cat design. Bat button for BOO design. Embellishment pack for Baxter the Bunny Standup design - one of our Seasonal Standup Series. Beach Ball button for Fun in the Sun design. Beach ball button for All Stacked UP Flamingo design. 4 bee buttons for Bee-Moosed design. Black Crow button for Summer Picnic design. Star buttons for Bloomin' 4th design. 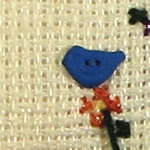 Bluebird button for Birdhouse Topiary design. Bluebird button for Cheep Rent design. Bone button for Bone Brew design. Bowtie button for Steppin' Out design. Bowtie button for Bunny Family design. Carrot and flower buttons Bunny Garden design. Butterfly button for Spring Tulips design. 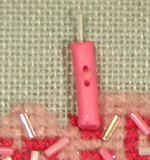 Butterfly button for Butterfly House design. 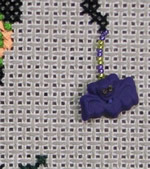 2 Butterfly Spots buttons for Butterfly design. Candle button for Happy Birthday Cupcake design. 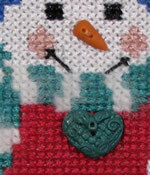 Carrot nose and green heart buttons for Winter Snowlady design.